Fruit is good for everyone. Eating fruit is a healthy way to satisfy daily nutritional needs and satisfy hunger. But, most fruits are made up of sugar and water, which raises question about whether fruits are healthy for people with diabetes. In fact, diabetics can eat anything including various fruits but it doesn’t mean you can eat them with abandon. So if you ask that is fruit incompatible for people who have type 2 diabetes? The answer is absolutely not. 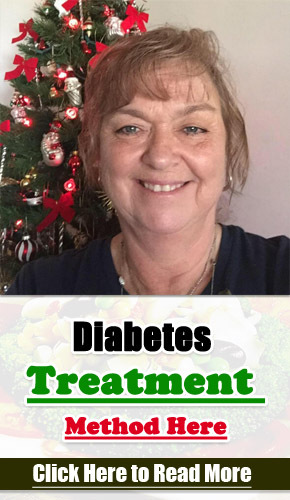 I will look at what every people should know about diabetes and fruit. Does eating fruit play an important role for people with diabetes? A diet rich in soluble fiber will control blood sugar levels and slow your absorption of sugar. Lots of fruits are rich in fiber, especially if you eat pulp and skin. Eating enough fiber surely plays an important role for diabetics. Lots of fruits are filling as they are made up of a lot of water and fiber. Fruits are rich in nutrients and fiber, hence they are a great option in meal planning. However, individuals will experience different results so discuss your meal plan with your doctor. Fruits in the market that have been processed like fruit juices and applesauce have had their removed fiber. Diets containing enough vegetables and fruits will surely reduce your risk of stroke, heart attack, and obesity. Obesity has been linked to lots of diseases including type ii diabetes. Diabetics need to eat a balanced diet and healthy food that helps to keep a healthy weight and offers enough energy. Many fruits are rich in sugar like mangoes and watermelon, but can surely be part of a balanced diet as long as you eat them in moderate portions. 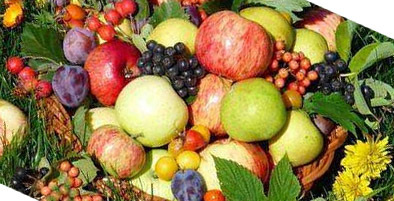 The great news is that fruits are healthy to eat for diabetics, according to NIDDK. Citrus fruits like grapefruits and oranges are high in vitamins C and A that are effective antioxidants. Banana contains typtophan, a vital amino acid and potassium. Fruits surely can meet a sweet tooth without relying on candy and other foods of low nutritional value. Fruits usually have nutrients not found in some other foods, and they often are low in sodium and fat. How much fruit should a diabetic eat? Lots of guidelines suggest that children and adults eat 5 servings of vegetables and fruits daily. The USA Guidelines also recommend that diabetics fill half of plate with vegetables and fruits at each meal. The remaining half of your meal should be grains and protein. A serving is often a medium-sized fruit. Smaller fruits such as berries contain a half-cup as a serving size. Usually a half-cup also is the serving size to fruit which has been processed like applesauce. The fruit juice is usually a half-cup serving size, equaling half of a regular, eight ounce glass. Cherries, raisins and some other dried fruits are two tablespoons a serving size. It’s good for a diabetic to eat a variety of vegetables and fruits to satisfy their needed nutrients and enjoy their varied flavors. According to the ADA, all of fruits are fine to eat as long as diabetics don’t eat them with abandon and they aren’t allergic. Fruit can be a healthy diet depending upon how it’s prepared. So the preparation of fruit is important for a diabetic. Frozen and fresh fruits are always better than those which are processed which come out of a jar or can. Common examples of those kind of fruits are canned and applesauce fruit. Fruit juices and dried fruit are always considered to be manufactured and processed fruits. Diabetics should eat those processed foods sparingly. Actually processed fruits are usually more quickly absorbed in our body and have more of impact on your blood sugar levels and increase your blood sugar. Additionally, lots of fruit preparations have lost many their own nutrients such as fiver, vitamins. The NIDDK say that a diabetic must avoid drinking canned fruits and fruit juices with added sugar that are more rapidly absorbed. It will lead to an increase in your blood sugar levels. Fruit blends like smoothies usually have a higher sugar content, which will lead to your blood sugar levels to rise too. One way to select fruits and some other foods is to check out the glycemic index. The glycemic index is a ranking of food on a scale from one to hundred, indicating how quickly they increase blood sugar levels with their score. Low or medium GI foods are absorbed slower then high GI foods, and low GI foods are better to help manage our blood sugar levels and diabetes. It may be a big surprise to realize that most fruits have actually a low GI. Starchy vegetables such as grains and potatoes have a higher GI and are more quickly digested. Below is a good list of fruits divided by Glycemic index. Diabetics should aim to eat at least 5 servings of vegetables and fruits each day. 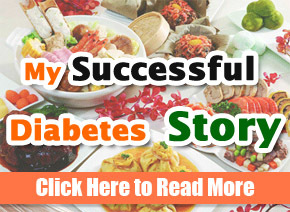 As a diabetic, you should aim to eat fruits and vegetables at each meal. Below are some suggestions for help with your menu planning. Apple is really considered as a nutrient dense fruit, a fruit which is very delicious as a dessert or snack. When cooked, apples usually have a deeper flavor for you, making them a great favorite in cooked desserts. A recipe suggests marinating apple in a bit of spices and honey and then cooking it on a grill. You also can roll your apple in crushed pecans or walnuts. Here an artcile you will want to read Why apples are the best fruit for diabetics? I like berries and they are tasty. Put whole frozen or fresh berries into saucepan with water. Then cook on low or medium heat until your fruits have broken down into a good thick sauce. A serving is half of a cup. When you are craving something sweet, then make tracks to the melons aisle, where you can discover numerous varieties like casaba, muskmelon, cantaloupe, watermelon.